The Bexley arboretum spans neighborhoods, streets, parks, and pockets of oasis throughout our City. What makes our City unique enough to warrant arboretum status? Purpose. For over a hundred years, the nurturing of trees and the evangelism of tree culture has been in our DNA. Our team of certified arborists oversees more trees within the City right-of-way alone than their are people in our City, and we have a proactive program to maintain the health of our tree population, replace trees that have died, and stabilize and diversify our portfolio of tree species. Take a walk through Bexley and you'll quickly be drawn into the charm. 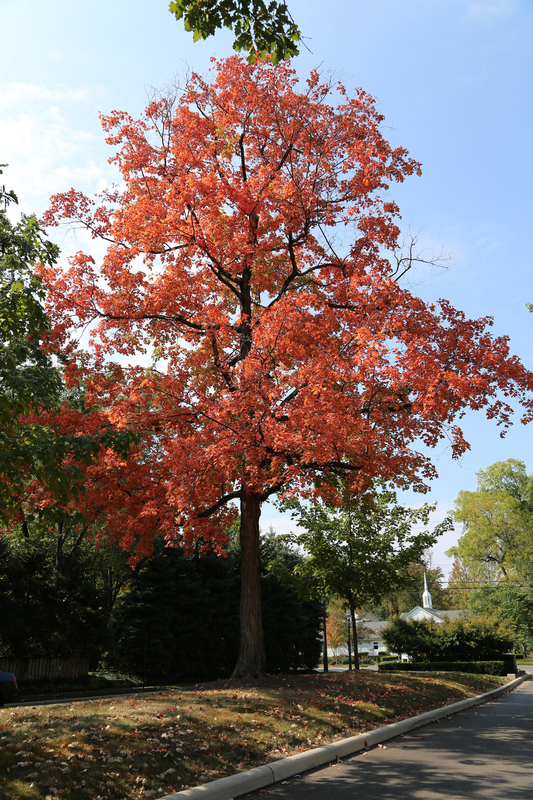 Over 130 species of tree along the street, and our parks highlight the diversity of and quality of our tree collection. We've known for a long time that trees enhance quality of life and preserve property values by providing a critical environmental and aesthetic resource. experience the arboretum by taking a dynamic drive! The Bexley Arboretum and its street trees can be experienced as well by simply driving down Bexley’s tree- lined avenues. Traveling into Bexleyup the East Broad Street hill from the west, one enters into the towering tree canopy of the mighty oaks and other tall trees. Crossing the railroad tracks heading south on North Cassady Avenue, one again sees a long view perspective of entering a forest with a heavily canopied driving experience. College Avenue with its Maple trees, provides an ordered, beautiful accent to College as both a Bexley entry and as a campus street. The shape and character of East Main Street’s London Plantree provides a distinctive landmark to that street. As a 100 year old “first ring” suburb, Bexley has a vast number of trees, both its 14,000 street trees and most likely 4-5 times that number on private property within Bexley. Landscape has always been important to Bexley residents as gardens were planted, flower beds installed and trees were planted, leaving us today with a rich legacy of plant materials, including outstanding specimen or landmark trees. While many specimen trees are on private property, some viewable from a public sidewalk, a number of landmark trees are on public property and can be admired up close. Click on the pictures below to see a collection of photos. Enjoy pancakes with Bexley Maple Syrup and other breakfast favorites. The Mayor will be making the best pancakes in Bexley and then giving a Bexley community and development update. Along with this, on Arbor Day, there will be tree walks and additional information provided by City arborist Grant Archer! Need something to do on a chilly weekend in March? Join us at The Jeffrey Woods Festival! There will be a maple syrup, wood chop shop, wood carving exhibition, sawmill demonstrations, and more! And stop by the Jeffrey Park Shelter House for some hot coffee, hot chocolate, and tasty goodies! Meet arborists from the City of Bexley and learn how to identify and tap maple trees and install buckets for sap collection. Work with our arborists and other volunteers to evaporate the maple sap and turn it into maple syrup. It takes 42 gallons of sap to make a gallon of syrup!